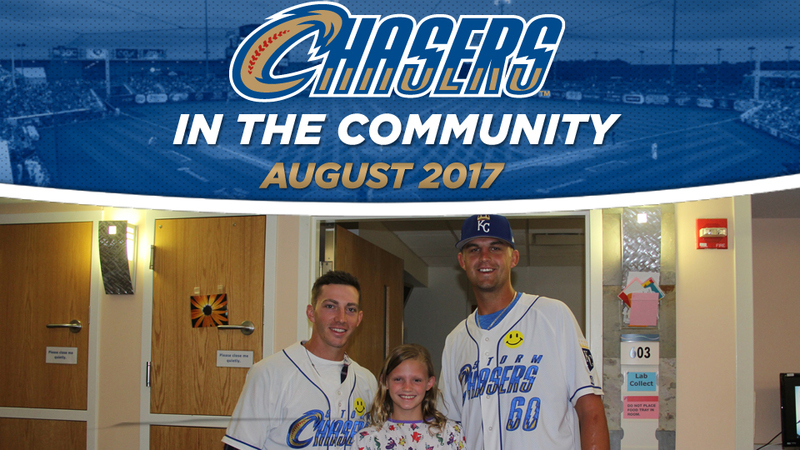 Storm Chasers players and front office members participated in the third annual Chasers Community Week last month, which included visits to Southwest YMCA, Ronald McDonald House and Children's Hospital. The Storm Chasers and Werner Enterprises were both honored to have The Wall That Heals at Werner Park which featured a half-scale replica of the Vietnam Veterans Memorial Wall in Washington D.C. In total, front office staff members also combined to record 208 hours of community service in the month of August.